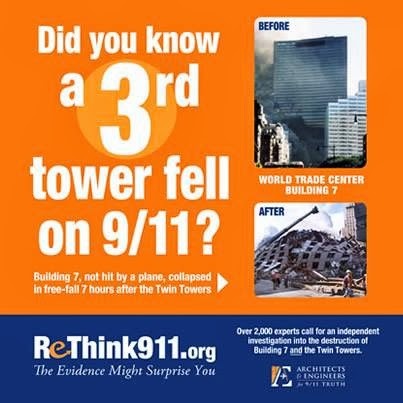 The Twin Towers on 9/11: Severe Sagging of Floors? 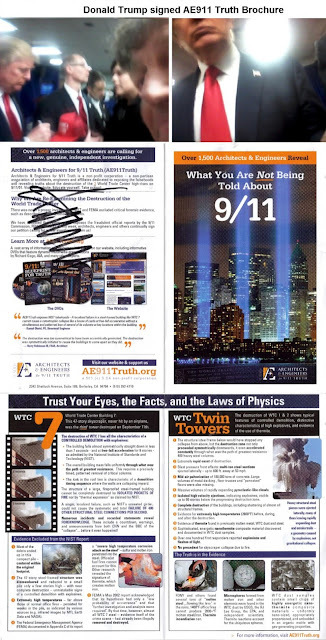 Labels: The Twin Towers on 9/11: Severe Sagging of Floors? The Twin Towers on 9/11: Was Load Redistribution a Problem? Labels: The Twin Towers on 9/11: Was Load Redistribution a Problem? 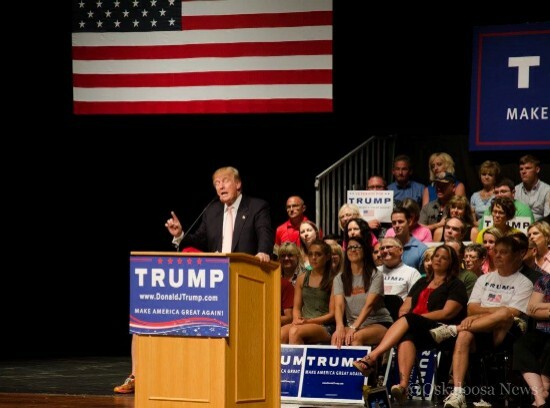 42015-08 Donald signs Silverstein sign Davenport, Iowa Also: Trump: These people (ISIS) are cutting off people's heads Rick: Saudi Arabia! Trump: You're right about Saudi Arabia. 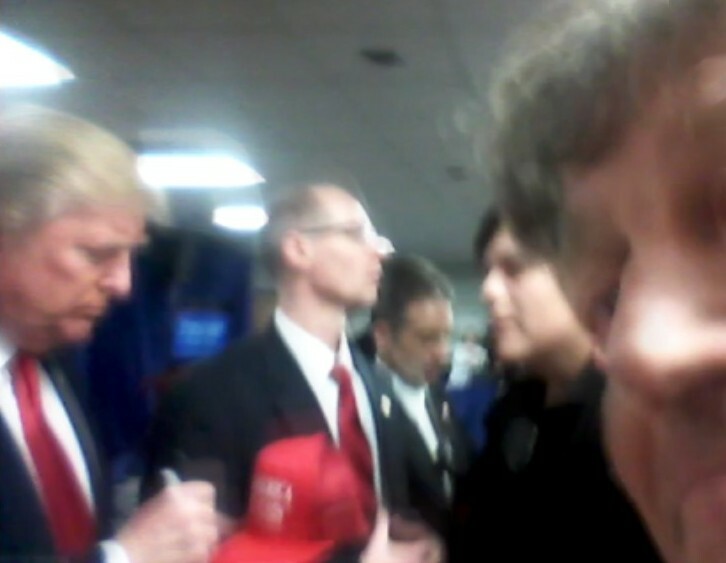 7 2016-02 Dr. Kevin Barrett interviews Rick on No Lies Radio about contacting Trump http://noliesradio.org/archives/109465 - Truther working for Trump campaign http://noliesradio.org/archives/110294 - Is Trump a Truther? 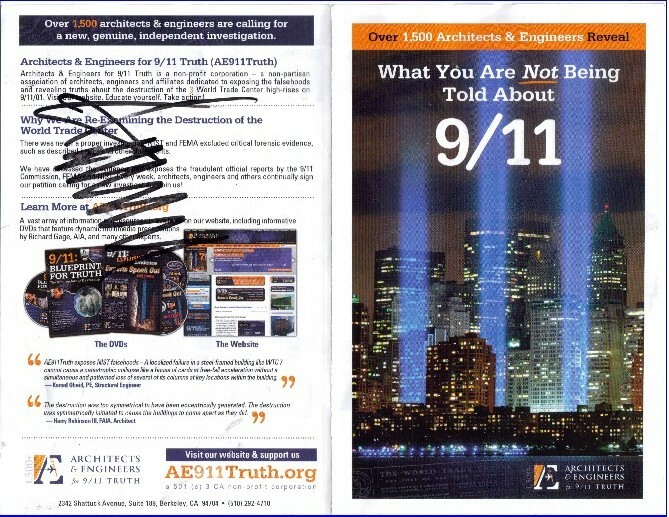 Labels: Association for Nine Eleven Truth Awareness: Action to get information to Donald Trump about 9/11, donald trump AE911Truth brochure, DONALD TRUMP IS A 9/11 TRUTHER!! Nothing seems to change. The people clamor for big change –new pleasing atmospherics at a minimum, new substance, reform, hope for prosperity and safety – and yet, the real levers of power remain invisible and are kept far too high for the people to ever reach. 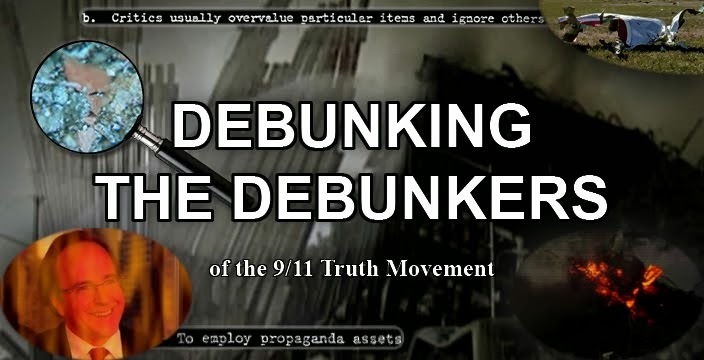 After 9/11, the narrative put out didn’t make any sense to anyone who thought about it, didn’t add up, didn’t compute, and the evidence available all in fact pointed back at the personages and institutions making the initial allegations and claims themselves. Anyone who questioned the holy writ was called out as delusional and, at minimum, disrespectful. Same thing time after time after time, regarding by now dozens of major and minor shock events since. (In fact, an extreme, though perhaps not implausible emerging view speculates that we are watching and all caught up in a totally-produced live global play, day by day by day by day.) But if you question anything, you’re a “conspiracy theorist” and your questioning of any of the evidence doesn’t deserve a substantive response – and doesn’t get one. And no one who doesn’t want to be considered daft or fanatical will hear a word you say about it. Time after time after time, it’s the same response – i.e. no response from the powers-that-be or, generally, anyone else. Indeed, the public refuses to question anything. But don’t tell me they don’t ever suspect anything is wrong. Indeed, the level of trust of controlling institutions is abysmal. But when it comes to specifics and substance, people won’t take the risk, face the opprobrium that occasions questioning the received version, the given narrative – of considering evidence or arguments that run counter – any more than they will touch an electric line. And certainly, they don’t want to find out what they might uncover if they did, or what might become of them. So, they almost literally pull up the covers – you and I have both seen it. They already have plenty to contend with in their own lives without that – even though finding out the true bent and nature of their overlords could actually elucidate some other problems plaguing them as well. Perhaps the most important and lasting lesson following 9/11 is this: “If you’re not on the train, you’re not going anywhere.” Or, as G.W. Bush more tactlessly put it, “If you’re not with us, you’re with the terrorists.” (True, if the negative were removed from the first half of the sentence.) Because, “’We / us’ (G.W. & Associates) are plotting the narrative”. Most recent case in point: Alex Jones, among at least a limited number of others, questions the reported narrative explaining the death of Supreme Court Justice Antonin Scalia. Alex Jones: DID OBAMA HAVE SCALIA KILLED? It was, as you certainly know by now, initially reported that Mr. Scalia was discovered, still in bed late in the morning in a west Texas hunting lodge, dead with a pillow covering his head. The county coroner, who never showed up personally at the scene, declared the cause of death to have been cardiac arrest – a heart attack (when people certainly die in bed from that, but sometimes due to other causes as well). And he didn’t perform or order an autopsy reportedly because there was no allegation of foul play. 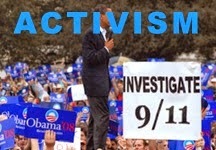 But no forensic investigation was ordered, either – same as with 9/11. Some (including, by implication, Alex Jones) alleged that Justice Scalia was murdered, a murder ordered by the Executive Branch, said to possess ample motive, because Scalia, the Court’s right-wing bulwark, personally prevented a slew (or slough?) of rulings favored, indeed required by liberal partisans. Meaning that successfully replacing him on the Supreme Court could shift the balance and release the log jam. 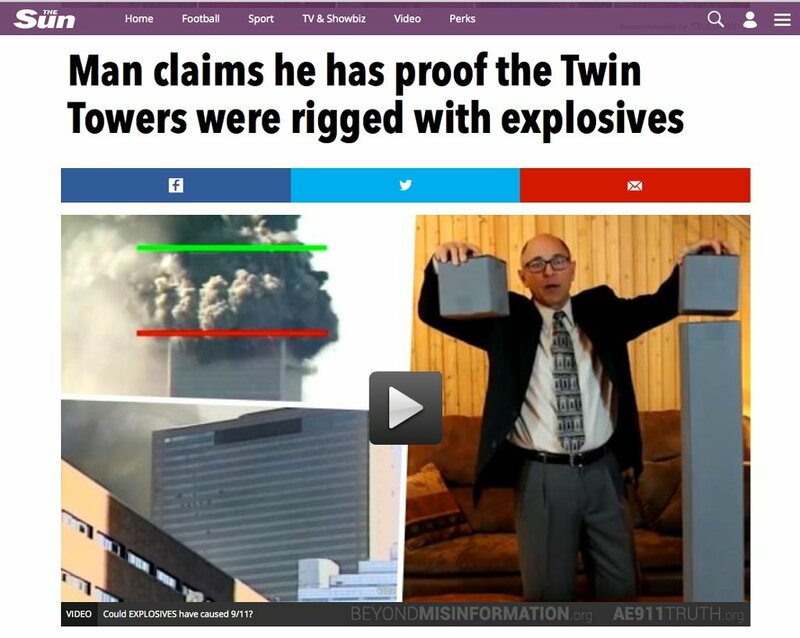 A day or two after the initial allegations by “conspiracy theorists” of things being not as they were reported, if was suggested in articles (a small victory in itself, because opposing views seldom get any recognition), that the original news brief should have said that the pillow was lodged between the bed and the wall, and that that change (correction?) in the story should silence the critics. The crimes of Jones and the others seem to have been a “thought crimes” – that they thought at all. How Orwellian! The remedy? Keep on pitching! My wife Angela Talboo is an ER RN and former paramedic with 15 years of combined experience. She has stated that she is in agreement with a nurse recently featured on the Alex Jones Show radio program in regards to the improper handling of Antonin Scalia's death investigation. She vehemently disagreed with a reader comment at Infowars.com alleging nurses are not experts in such matters. Angela is not saying the way things were handled necessarily means he was murdered, although the nurse featured on the radio program, Mary from New Jersey, voiced her strong opinion that she thought this was indeed the case. Trump: ‘Pretty Unusual’ Scalia Was Found With ‘Pillow on His Face’. POLL: DO YOU SUSPECT FOUL PLAY IN THE DEATH OF JUSTICE SCALIA? Labels: Alex Jones radio program, Antonin Scalia Death Investigation, POLICE CALL FOR INVESTIGATION OF SCALIA’S DEATH, Trump: ‘Pretty Unusual’ Scalia Was Found With ‘Pillow on His Face’. 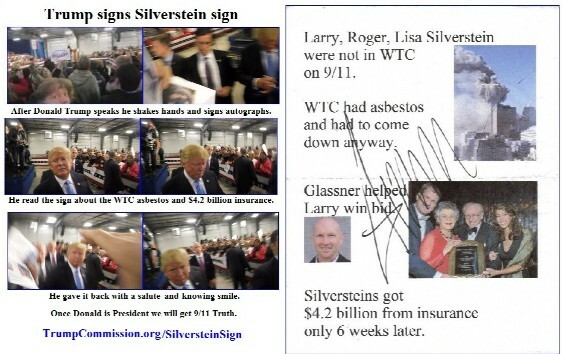 9/11 Truther Donald Trump and Conspiracy Theory ! "Conspiracy theory" is now a method to stop speech much like the left and radical academics and PC students use to shut down speech with claims of "microagressions" and the like. 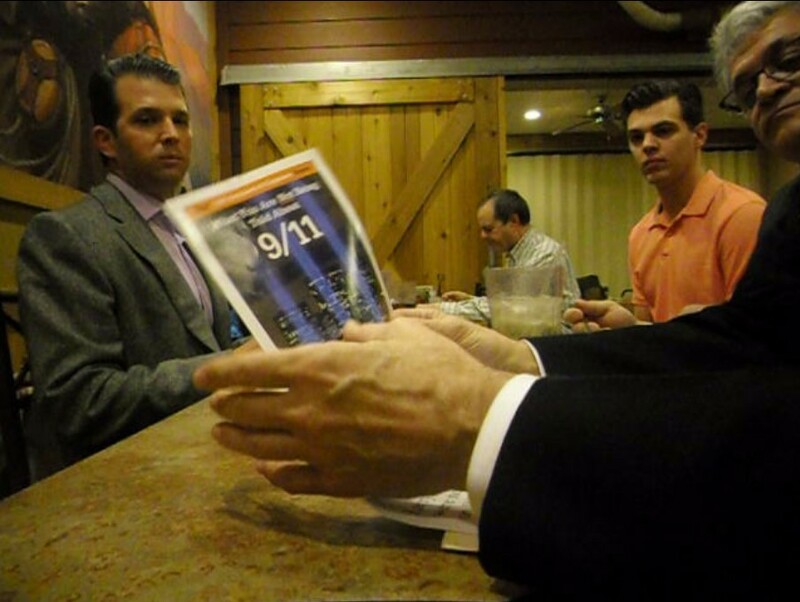 Despite Donald Trump’s bombast about 9/11 happening under Bush’s watch, he has a legitimate point. In fact, he’s exactly right: George W. Bush did NOT keep us safe and he did things that kept federal agents from discovering and stopping the attacks. But Trump simply doesn’t know the details that back him up–details that would bolster his aggressive stance regarding Muslims and government action regarding aliens on our shores. Conservatives who defend Bush regarding 9/11 have it wrong, and here’s why. Last Saturday night’s GOP Presidential debate wasn’t the first time Trump has made the point that 9/11 happened on George W. Bush’s watch and that Bush did not, in fact, keep us safe. As you may recall, Trump made that point against Bush months ago, in one of the first GOP debates. But, after a number of conservatives including Rush Limbaugh defended Bush, Trump seemed to drop the argument. It’s an argument he should and would have never dropped . . . if he actually knew what he was talking about, instead of parroting lines he thinks people want to hear. As I’ve noted repeatedly on this site and elsewhere over the years, President Bush and his then-Attorney General John Ashcroft refused to allow FBI and INS agents who apprehended illegal alien and Islamic terrorist Zaccarias Moussaoui to examine his laptop computer hard drive. As you may recall, Moussaoui was allegedly the 20th hijacker who was supposed to be on those planes. He’s also the guy who took flying lessons at an Oklahoma flight school, but didn’t want to learn how to take off or land. Very strong hints at the 9/11 attacks were on Moussaoui’s hard drive, but agents were not allowed to look at them because President Bush handed down stringent instructions to Ashcroft and his other cabinet members that Muslim and Arab civil rights were to be paramount and strictly adhered to. Bush, at his first address to a joint session of Congress declared the end of the use of secret evidence and profiling of Muslims and Arabs and, in February 2001, issued a directive to Attorney General John Ashcroft to “work in cooperation with state and local law enforcement to assess the extent and nature of any such practices.” Because of this, FBI agents missed the opportunity to discover and prevent the attacks. As you may also recall, FBI agent Harry Samit (see also here) and INS counterterrorism agents Steven J. Nordmann (who was later killed in a motorcycle accident – RIP; go here for a letter his niece sent me) and John Weess, who arrested Moussaoui and were the agents on his case, desperately wanted to look at Moussaoui’s hard drive. But, as I’ve noted at length on this site in several posts, they were refused by superiors and this went all the way up the chain of command to Ashcroft and Bush. Both said no. The agents were refused a warrant and they rightfully fumed and warned that something bad and violent against America was going to happen. They sent over 70 e-mails in a week but were repeatedly refused and then ignored. Later, they were disciplined. These guys were heroes who tried frantically to save American lives, but George W. Bush and his top people slammed them. This is all documented in the 9/11 Commission Report and in transcripts of the Moussaoui trial. And at the end of this column, I’ve reposted some excerpts of the press coverage of Samit’s testimony at the Moussaoui trial. You’ll find it incredible, after reading it, that Jeb Bush has the audacity to claim his brother kept us safe. Not even close. You may also remember the name Coleen Rowley. She was also an FBI agent working on the case. She begged for permission to search Moussaoui’s personal rooms. She was repeatedly refused, and when she spoke out after the 9/11 attacks, she was ostracized, abused, drummed out of her job, and treated like a criminal by the Bush Administration (the same thing happened with Turkish Muslim translator Sibel Edmonds). And you wonder why Rowley ended up becoming an anti-Bush activist. Believe me, it’s these things that make me anti-Bush, too. And that bolster Donald Trump’s point . . . if he would only mention that Bush wouldn’t let FBI and INS agents search Moussaoui’s computer. Bush and Ashcroft sent specific written memos on this directive: to be extra careful in not violating Muslims’ civil liberties in criminal investigations. 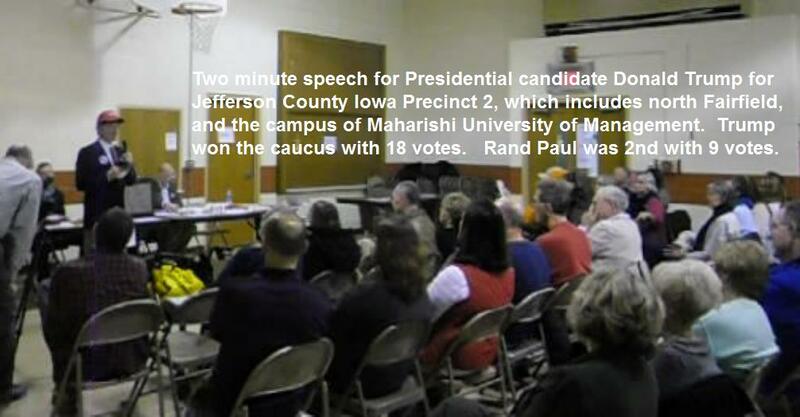 MODERATOR: First, a couple of follow-ups from the vice presidential debate last week. Vice President Gore, would you support or sign, as president, a federal law banning racial profiling by police and other authorities at all levels of government? BUSH: Yeah, I can’t imagine what it would be like to be singled out because of race and stopped and harassed. That’s just flat wrong, and that’s not what America is all about. And so we ought to do everything we can to end racial profiling. . . . I do think we need to find out where racial profiling occurs and do something about it and say to the local folks, get it done. And if you can’t, there will be a federal consequence. MODERATOR: And that could be a federal law? 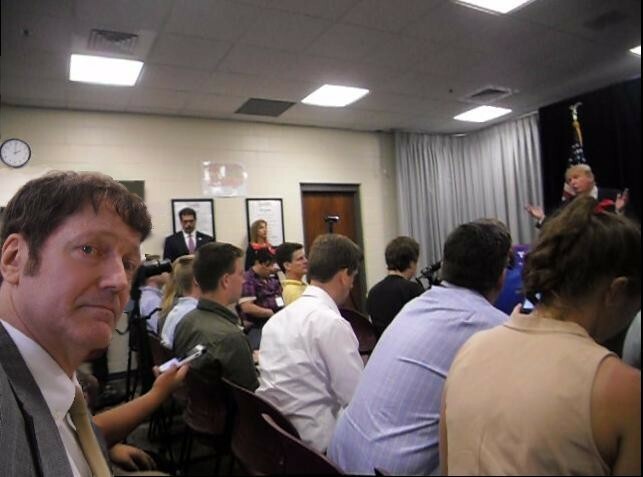 BUSH: Yeah. . . .
MODERATOR: On hate crimes laws? BUSH: . . . . [T]here is other forms of racial profiling that goes on in America. Arab-Americans are racially profiled in what is called secret evidence. People are stopped, and we have to do something about that. My friend, Senator Spencer Abraham of Michigan, is pushing a law to make sure that Arab-Americans are treated with respect. So racial profiling isn’t just an issue at local police forces. It’s an issue throughout our society. And as we become a diverse society, we’re going to have to deal with it more and more. FYI, Spencer Abraham‘s legislation cited and praised by Bush, also attempted to repeal the Clinton counterterrorism laws outlawing contributions to HAMAS, Hezbollah, Al-Qaeda, Islamic Jihad, and other Islamic terrorist groups. As I’ve also noted on this site, Abraham also introduced and strongly pimped legislation to send $268 million in U.S. tax money to the Islamic terrorist group, Hezbollah (as a reward for murdering over 300 U.S. Marines and Embassy officials?). He succeeded in getting the group $86 million, no strings attached. As the Chairman of the Senate Immigration Subcommitee, he and his immigration staffer Ann Coulter blocked funding for a computer system that would have tracked all visa holders entering the country, including the 9/11 hijackers. All of these Abraham actions were done at the request of open Hezbollah and HAMAS supporter James Zogby, head of the Arab-American Institute (and now a Bernie Sanders adviser). Abraham also put unindicted HAMAS co-conspirator CAIR on the map, inviting the group to his office and taking its representatives around Capitol Hill to meet other Senators and Members of Congress. 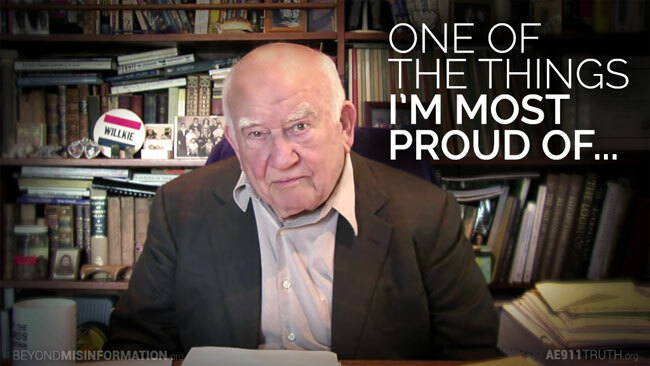 He was one of only two U.S. Senators who refused to sign a letter to President Clinton, calling on Clinton to condemn Palestinian terrorism and Yasser Arafat at the height of suicide bombings in Israel. Later, as Bush’s Energy Secretary, he tried to hide from the FBI a crime committed by his top advisor, Shi’ite Muslim Majida Mourad. Ms. Mourad lied on her federal job applications, including the one for her top secret security clearance, but Abraham protected her from being prosecuted. Mourad and Abraham are now partners in a lobbying firm where they represent Muslim oil interests from the Middle East. As Bush’s affirmative action Arab cabinet member, Abraham gave out post-9/11 Presidential awards to Muslims directly tied to Al-Qaeda, including one of Al-Qaeda’s top money-launderers who used a bogus halal chicken plant to clean and secrete money to the terrorist group. After Bush was declared the winner of the Florida recount and the President, among the first guests he invited to his ranch was Iran-backed Shi’ite Muslim extremist Imam Hassan Qazwini–an open supporter of Hezbollah and HAMAS. Qazwini was flown to the Bush ranch in Crawford, Texas to help the President-elect formulate plans to expand Muslim “civil rights” and curtail law enforcement use of profiling and secret evidence against Islamic terrorists–several of whom were congregants of Qazwini. Bush also consulted Qazwini to design his faith-based funds initiative, which was meant as a way to make an end run around the Establishment Clause and give money to mosques (and some churches and synagogues). Bush featured Qazwini front-and-center at his first press conference as President in January 2001, announcing the initiative. Qazwini later told the press that Bush, after the 9/11 attacks, told him that Christians are just as extremist as Muslims. Jeb Bush won’t be different from this. He’ll be worse. Will Donald Trump differ from this? His new-found rhetoric since running for Prez says yes, but only time will tell. You should also note my coverage–both on this site and in the New York Post–on FBI agent Robert Wright. He was also shut down by top FBI brass and Ashcroft. And he and retired FBI agent John Vincent had to go on ABC News in order to get the Bush Administration to stop a top HAMAS official and other US-designated HAMAS terrorists tied to Al-Qaeda from continuing to walk the streets of America, free and clear. Rather than actually do something, the Bush Administration deported the HAMAS official, Musa Abu Marzook (HAMAS’ political director) and let him escape justice. I guess showing America and the world HAMAS’ connection with Al-Qaeda was not politically correct. In any event, Donald Trump is exactly right. George W. Bush did NOT keep us safe. 9/11 happened because he was too busy being a civil rights activist for the Muslims in our midst who hated us and ultimately flew planes into buildings, murdering 3,000 Americans. And even after 9/11 happened, Bush spent the next 7.25 years pandering to the most extreme Muslims, inviting them to the White House, and expanding their immigration to America so much that the Muslim population nearly doubled in America under his reign as President. A month or so ago, conservatives whined about Loretta Lynch saying she would unconstitutionally prosecute anti-Muslim speech. But where were they when George W. Bush set up a whole unit of the Justice Department’s Office of Civil Rights–headed by Joseph Zogby, likeminded son of Islamic terrorism supporter (and now-Bernie Sanders adviser) James Zogby–just to go after perceived anti-Muslim slights? In contrast to Loretta Lynch’s threat to prosecute speech, the Bush (in)Justice Department actually did it in several cases, and most of the defendants buckled and pleaded guilty because they were scared and didn’t have the funds to fight back. As I noted on this site years ago, one of those cases was United States of America v. Michael Bratisax, in which a quadriplegic Coast Guard veteran was prosecuted for innocent e-mails attacking Islam in a weeks long online conversation he had with Bush’s terrorist-supporting buddy, Imam Qazwini. Why did no conservatives (except for me) speak out against this? I offered Bratisax a skilled defense lawyer who was eager to take the case pro bono, but Bratisax was scared and wanted this to go away, so he pleaded guilty with a wimpy federal public defender. This is the truth of what happened under the George W. Bush Presidency. No, he did not keep us safe. He made America weak and defenseless, pandering to the Islamic threat, going after America’s citizens, and keeping FBI and INS agents from discovering and stopping a major terrorist plot–the largest and most successful one in U.S. history. Not only did it happen on his watch, but he bears some of the responsibility for it not being discovered and possibly stopped. That’s what Donald Trump should hammer away at Jeb Bush about. If I were Trump, I’d invite Rowley, Samit, and Weess to come on stage at my rallies and tell people who they are, what they courageously tried to do, and how they were shut down by the Bush Administration, and then almost a month later, 3,000 Americans were murdered. But, again, Trump knows only platitudes and bombast, not the details. And I’m not sure he even believes in the platitudes or cares about the details. We need a President who does. We haven’t had one for decades. None of this, of course, has anything to do with killing Bin Laden. Yes, as Marco Rubio–who tried to defend Bush–said, Bill Clinton had the chance to get Bin Laden, but he didn’t. And this is the “I know you are, but what am I?” response dim-witted Republicans and conservatives always make to liberals and always make to me whenever I point out all of the things above (and others) that Bush did. Clinton’s excuse for not capturing Bin Laden was that he didn’t want to bring Bin Laden here and give him a trial with all the Constitutional rights. In the shadow of the O.J. trial, it could have become a similar circus with an acquittal. That’s a legitimate reason for not capturing Bin Laden. But what was his excuse for not simply assassinating Bin Laden? I don’t know, but I do know that we didn’t use drones then (to kill people, anyway), and maybe things might have been different if we did. I suspect not, though. Then, there is George W. Bush, who also had the chance to assassinate Bin Laden. But, again, he was too worried about the lives and rights of Muslims who hate us–at least, he’s consistent, consistently on their side and not ours. 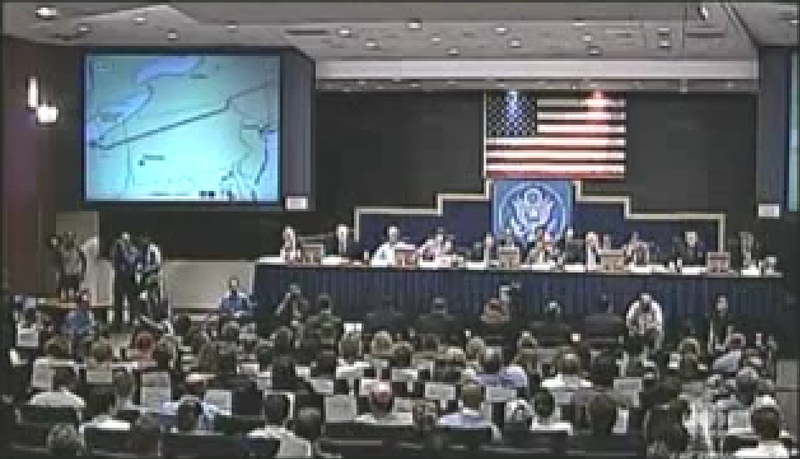 You’ll remember the satellite surveillance of Bin Laden in some remote location after 9/11. We saw him and could have killed him. But there were several Gulf State princes and sheikhs with him (they were on a hunting trip or some such thing), and the Bushies were too worried about killing others and also maybe killing children. Worries like those–worries for the enemy–do make us less safe. Again, Trump is right. But, also again, I don’t know what the real, actual Trump in the White House would do. And whether or not he’d be just like Bush . . . or even worse. Frankly, I don’t think anyone running is going to make us safer or keep us safe. I think they’re all wimps and PC artists. Yes, even Trump and Cruz. The FBI agent who arrested Zacarias Moussaoui weeks before Sept. 11 told a federal jury Monday that his own superiors were guilty of “criminal negligence and obstruction” for blocking his attempts to learn whether the terrorist was part of a larger cell about to hijack planes in the United States. During intense cross-examination, Special Agent Harry Samit – a witness for the prosecution – accused his bosses of acting only to protect their positions within the FBI. . . . “They obstructed it,” a still-frustrated Samit told the jury, calling his superiors’ actions a calculated management decision “that cost us the opportunity to stop the attacks.” . . . Samit said that officials at the FBI headquarters in Washington rejected a series of attempts to obtain a warrant to search Moussaoui’s personal belongings. Had the belongings been opened before Sept. 11, agents would have found numerous small knives, jumbo-jet pilot manuals, rosters of flight schools and other clues that might have helped them understand the Sept. 11 plot. Samit wanted to seek a criminal search warrant, and later one from a special intelligence court. But officials at the FBI headquarters refused to let him, because they did not believe he had enough evidence to prove Moussaoui was anything but a wealthy man who had come to this country to follow his dream of becoming a pilot. . . . He said that as Washington kept telling him there was “no urgency and no threat,” his FBI superiors sent him on “wild goose chases.” For a while, Samit said, they did not even believe Moussaoui was the same person whom French intelligence sources had identified as a Muslim extremist. Samit said thatFBI headquarters wanted him and his fellow agents to spend days poring through Paris phone books to make sure they had the right Moussaoui. Samit said that when he asked permission to place an Arabic-speaking federal officer as a plant inside Moussaoui’s cell to find out what Moussaoui was up to, Washington said no. And he said that when he prepared a lengthy memo about Moussaoui for Federal Aviation Administration officials, Washington deleted key sections, including a part connecting Moussaoui with Al Qaeda leader Osama bin Laden. Samit said he was so frustrated and so convinced that attacks were imminent that he bypassed FBI officials in Washington and met with an FAA officer he knew in Minneapolis. But he said FAA agents never got back to him, and never asked to see a pair of small knives, similar to box cutters, that Samit had found in Moussaoui’s pocket and in his car. Samit further described how he took it upon himself to cable the Secret Service that the president’s safety might be in jeopardy. He recounted in the cable how Moussaoui had told him he hoped to be able to one day fly a Boeing 747 from London’s Heathrow Airport to New York, and how he also hoped to visit the White House one day. Samit said he warned the Secret Service that those desires could spell disaster. “If he seizes an airplane from Heathrow to New York City,” Samit alerted the Secret Service, “it will have the fuel on board to reach D.C.” Samit said he never heard back from the Secret Service either. 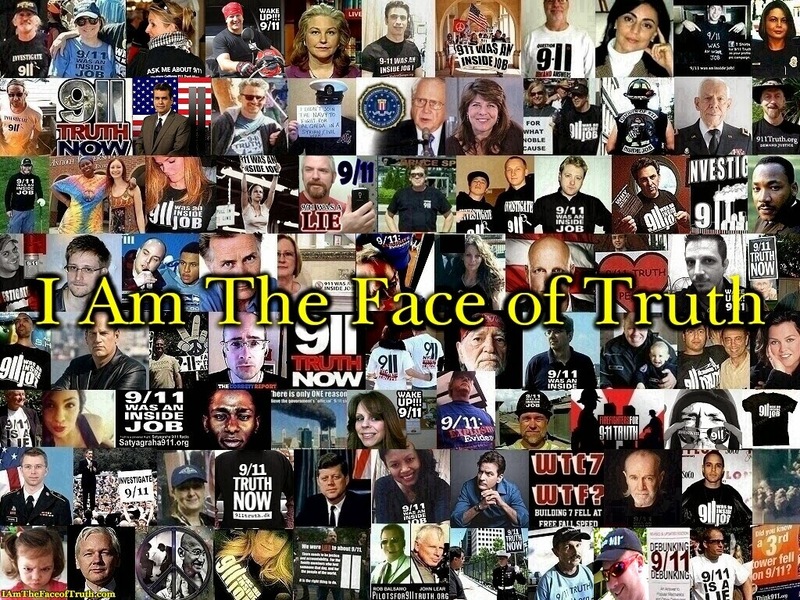 DONALD TRUMP IS A 9/11 TRUTHER! !